Gather your co-workers, friends or family and book a Private Tour with Savor Our City™! Do you have clients that you’d like to show your appreciation towards? Looking for something unique to do? 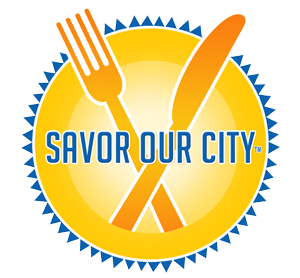 Savor Our City™ has got just the solution for you. Let us customize a private tour for you and your group. Just ask the Boca Raton office of Fidelity Investments who recently went on a private “Taste Atlantic Avenue” tour in Delray Beach. Sara, one of Fidelity’s Account Executives, thought this unique day of savoring the city was the perfect way to appreciate and bond with their clients. The 3-hour tour stopped for signature tastes and wine pairings at Tryst, The Office, DIG and Salt 7 as well as The Ancient Olive and Sloan’s Ice Cream. The group was treated to a ride on the Delray Downtowner and traveled in a caravan as they made their way through the back streets towards their final destination. “Great event. You will definitely be seeing more business from us. I might like doing the Pineapple Grove one in the Fall or Feb/Mar.” – Sara Scaldini, Fidelity Investments Boca Raton branch. Contact Denise at (954) 410-3177 or email info@SavorOurCity.com to inquire about booking a private customized tour or to purchase gift certificates.